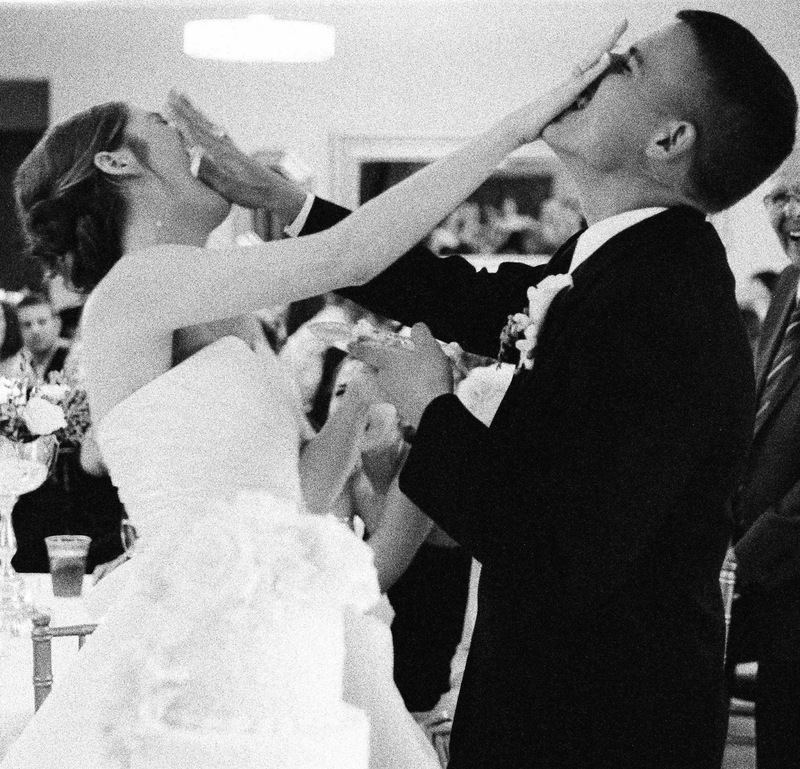 ...And right before we smashed cake into each other's faces, we actually got married. We are scratching our heads at how it's already been six years of wedded bliss, but then again, it's hard to remember what life was like before we were married. It feels like we've been doing this forever! Six years in, two pregnancies, one miscarriage, one baby, a dog, 5 moves, and too many dinner-and-a-movie nights to count. It's been one heck of a ride so far. I can honestly say I married my best friend, and I think that's why we work. At the end of the day, we just like being together. Not only do I love Parker, but I like Parker. I think he's hilarious and kind and giving. He makes me proud to be his wife every day. Year six was easily our hardest year of marriage, but it's been the most rewarding too. Parker spent 7 months of the past year deployed, so that was a journey in and of itself. Not to mention, he came home to a wife that was 8 months pregnant and ready to pop! Deployment + pregnancy + having a baby... well we can't say year 6 was uneventful, that's for sure! So many highs and lows, but it's all been worth it getting to call that man my husband. I think we would both say the high of year 6 was the birth of our son and the low of year 6 was saying "see you later" for 7 months. Both kind of a given! Our first dance at our wedding was to "Then" by Brad Paisley, and the lyrics still ring true. "And I thought I loved you then..."
6 years down, forever to go! Here's my wonky attempt at a 6... harder than it looks, yall! Happy anniversary! Here's to an eternity more! Happy Anniversary! You guys are too cute! This is really an amazing place for a wedding. We considered these wedding venues Los Angeles for our wedding and reception. Beautiful architecture in a ginormous building with original woodwork, and high ceilings make for an extremely interesting, dramatic, and formal space.